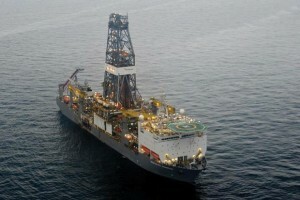 GEORGETOWN - There appears to be more oil offshore Guyana than oil giant ExxonMobil had originally estimated. It announced earlier today that it has now been confirmed that the 6.6 million-acre Stabroek Block which it controls, has the equivalent of more than four billion barrels of up, up from the 3.2 billion oil-equivalent barrels previously estimated. “Confidence and investor interest in Guyana will continue to grow as a result of this most recent and exciting announcement by ExxonMobil,” Minister of Natural Resources Raphael Trotman said. ExxonMobil said it increased its estimate of the discovered recoverable resources and has advanced its evaluation to support a third phase of development and consideration of two additional phases. The oil giant has made eight discoveries in Guyana’s waters to date – Liza, Payara, Liza Deep, Snoek, Turbot, Ranger, Pacora and Longtail. It was also noted that the Liza-5 well successfully tested the northern portion of the Liza field and, along with the giant Payara field, will support the third phase of development in Guyana. “The Payara development will target sanctioning in 2019 and will use an FPSO vessel designed to produce approximately 180,000 barrels of oil per day, as early as 2023,” said ExxonMobil’s senior vice president Neil Chapman. ExxonMobil said the collective discoveries on the Stabroek Block to date have established the potential for up to five FPSOs producing over 750,000 barrels per day by 2025. “There is potential for additional production from significant undrilled targets and plans for rapid exploration and appraisal drilling, including at the Ranger discovery,” it said. ExxonMobil affiliate, Esso Exploration and Production Guyana Limited, is the operator of the Stabroek Block and holds 45 per cent interest in the Stabroek Block. Hess Guyana Exploration Ltd. holds 30 per cent interest and CNOOC Nexen Petroleum Guyana Limited holds 25 per cent interest.